Looking for info on Text Message Surveys? Click here. This page covers our anonymous feedback service, which is included with Text Message Surveys. Don't lose another customer. Give them a way to reach out. Fix issues immediately in private so complaints don't end up online. Discover operational, service, product, and facility issues you never expected. Your business will be special by offering such a customer-centric (and awesome) service. Fix issues while the customer is still there (before they become bad reviews). You'll be admired, and different from your competition. When a customer sends a photo or video to point out an issue that needs addressing, you'll see it on your phone. You can reply with a photo or video, too. 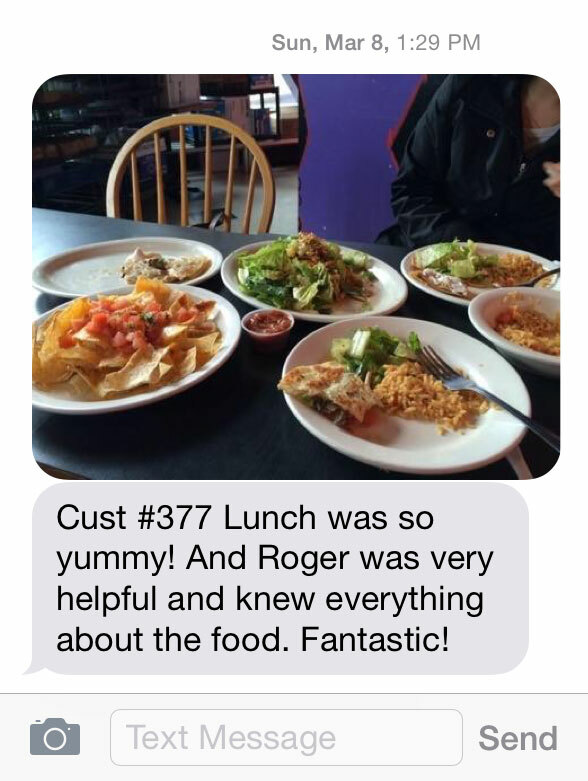 When a customer texts your business for the first time, they always receive an auto-reply, customized by you! Your customers can use it immediately. Phone number widget for your website. 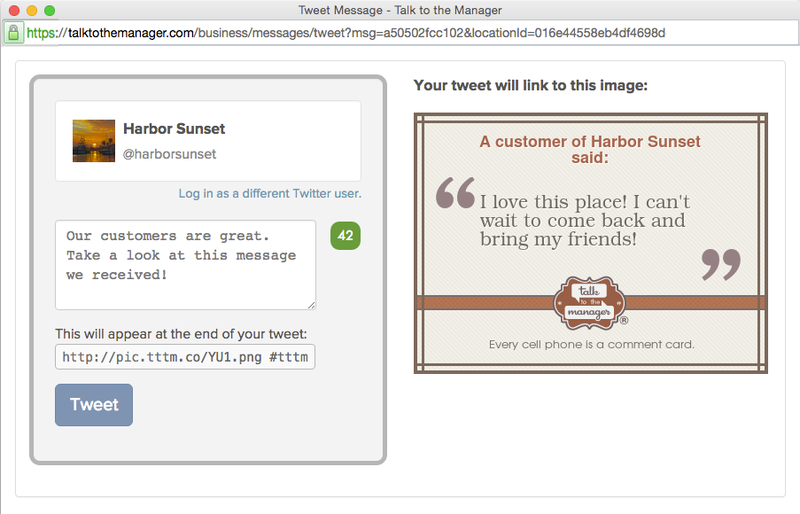 Testimonial widget - feature positive customer messages. See an example. Only 43% of US mobile subscribers have a smartphone, but all cell phones can send and receive text messages (no need for an app). Is your business in Canada? Our service works there too! 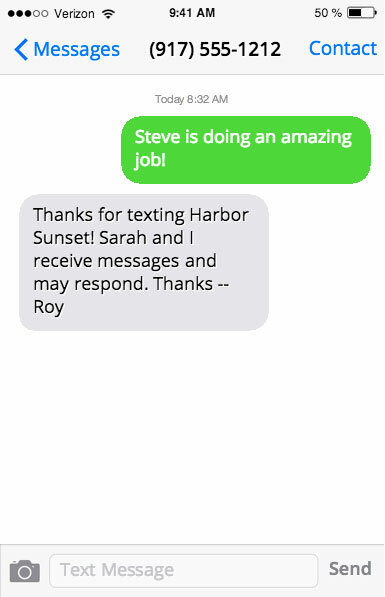 Our text message-based surveys are easy to set up, and your customers will appreciate the convenience and enjoy the experience. For more information, visit Text Message Surveys. We use automated algorithms to determine the sentiment (positive/negative) of your customer messages, and provide information on message sentiment and volume in these easy-to-read reports. For more information, visit Basic Performance Reports. Our analytics service is truly amazing. We provide straightforward analytics and actionable insights into your business: where you're doing great and where your organization and staff need improvement. For more information, visit Advanced Performance Analytics & Reports. We have demo videos for our solutions. Watch our brief Q & A videos to get the answers you want.